Ultimate Sports Insider: Athletic budgets - Is the bottom line perfectly ordinary? Athletic budgets - Is the bottom line perfectly ordinary? New York Times editorialist Verlyn Klikenborg recently wrote a "Report from a perfectly ordinary place" about his stay at a hotel just off a non-descript highway exit in California. We've all seen them and maybe stayed in one. He states: "A place like this — meant to be placeless — is, of course, full of epiphanies. Mine is simply this. In the motel last night, I found myself listening to the roar of an ice vending machine rising above the rumble of the soda vending machine and the whine of the fluorescents in the ceiling. I began to think about the sheer number of roaring machines in the immediate vicinity of this freeway interchange: machines for heating and cooling, compressing and expanding. " The article poignantly concludes - "The true business of this wayfarers’ station is to hum and whine and shriek and roar in its own glare without ceasing." Athletics is a wayfarer's station that provides an escape from daily grind for students, the campus community and alumni. It hums with fight songs, the squeak of sneakers or a ball dribbling, the rhythm of conditioning workouts and practices, and season-long team bonding experiences around shared goals. Athletics shrieks and roars too - the fans collectively cheering and agonizing with every play, a whistle signaling a foul or penalty, a coach "gently" correcting a mistake made for the umpteenth time, correcting because they care and because they have high expectations. It is a rallying point and source of pride when a team emerges as a national contender. And as student athletes will tell you, it matters. But college athletics is facing serious economic troubles and it has to consider if it has played a contributing role in its current financial state. Are some of the problems self inflicted - brought about by a reluctance to say no out of fear of losing ground to competitors? the construction of basketball specific practice facilities (e.g. Nebraska, Michigan, Iowa State, West Virginia, LSU, among a myriad of others). Consider the quotes made at LSU by Associate Athletic Director of Operations and Project Development Eddie Nunez about their basketball-only practice facility. “This facility will compete with everything in our conference and around the country...". Or from LSU men’s basketball head coach Trent Johnson - “The thing I appreciate the most about it is the commitment of the people here...". The ubiquitous pressure to show "commitment" can complicate prudent decision making in good times until unyielding economic forces cause gut wrenching decisions in bad times. Athletics has a glare - a need for attention. Consider the willingness to make any scheduling accommodation (regardless of academic impact or inconvenience for spectators) for "exposure" from television. And examples of unwelcome institutional attention brought about by individuals who lose site of the big picture and cheat for their own gain are well known. The intoxication of wealth, fame and glory are part of the glare that blind decision making. 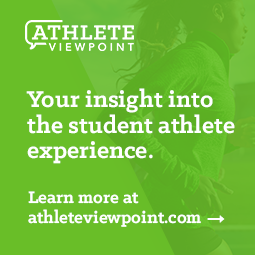 Many of the factors that have been the undoing of so many businesses and industries can be found in higher education and athletics. The Chronicle of Higher Education just offered 13 reasons colleges contributed to their own demise in the budget crisis. As society becomes increasingly commoditized and standardized, like the non-descript highway-exit motel, universities and athletics risk becoming increasingly ordinary as schools imitate their peers in a form of mission creep. Athletics' challenge is to avoid following a path to the ordinary by maintaining its educational relevance through the timeless virtues of hard work, dedication, sacrifice, team first and sportsmanship - all while running its business. Over-saturation, overexposure and reflexive imitation coupled with a singular narrow focus on winning can create an entity that appears to exist only for its own self interest. And when budgets are tight, athletics faces additional scrutiny because it is often viewed as an auxiliary enterprise rather than an important educational entity. The true business of college athletics should not be "to hum and whine and shriek and roar in its own glare without ceasing." Because for athletics and student athletes there are no do overs. No hand outs. No bailouts. No TARP money. Athletics can't afford to be perfectly ordinary. It needs to strive to be extraordinarily perfect. This is a very insightful and compelling perspective. While I'm not in college athletics, I see a lot of parallels with what is occurring in the golf industry. The PGA of America spends a lot of time educating PGA Golf Professionals on how to reinvent the golf experience so it doesn't have to be the traditional 18-holes that takes 4-5 hours. The product must fit consumers' needs, lifestyles and schedules, which may even include allowing guests to pay by the hole, play speed golf, or tee it up in the middle of the fairway if a shorter course is more comfortable for the guest's skill level. Without creativity at the most local level, golf too may become "increasingly ordinary."